A former West End community leader has urged city planners to tackle traffic management issues, or risk damaging Dundee’s growing reputation as a tourist destination. Andrew McBride, a former chairman of West End Community Council, said the queues that built up around the city centre in the run up to the opening of the 3D Festival on Friday were “ridiculous”. Local residents reported major delays and roads approaching gridlock across the city as revellers descended on Slessor Gardens to celebrate the opening of the new V&A museum. 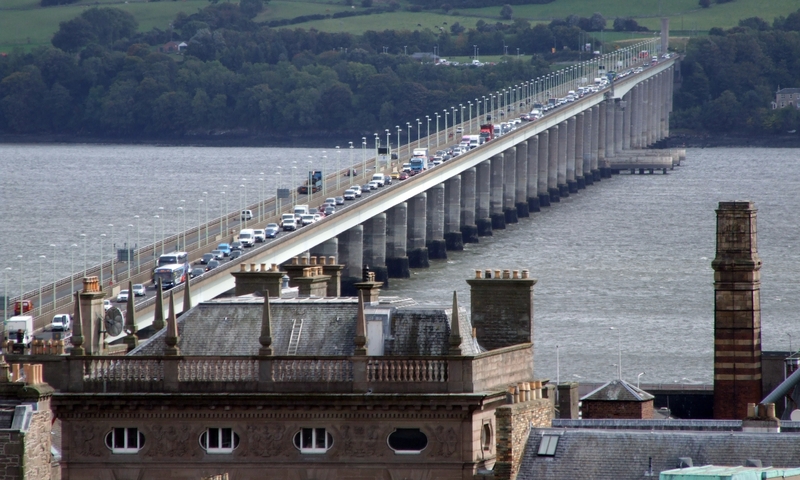 Long delays on the Tay Road Bridge. 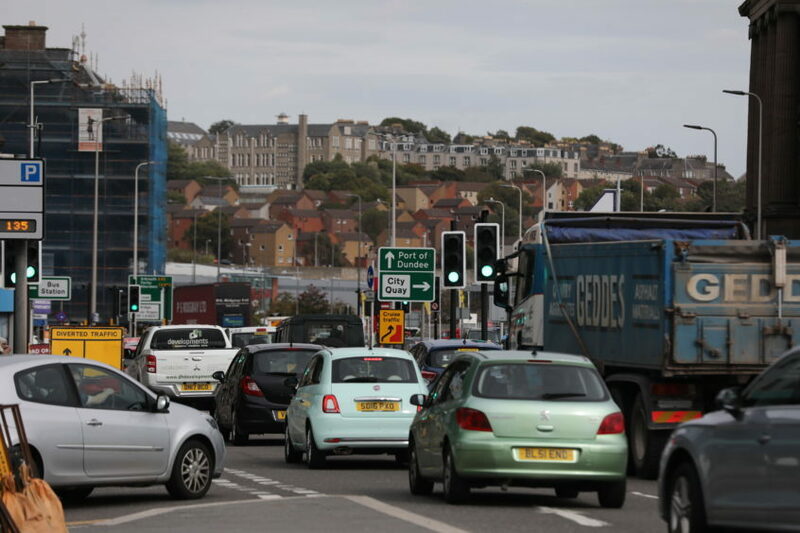 Drivers had repeatedly been warned to brace themselves for severe disruption to transport as Riverside Esplanade and surrounding routes closed to all traffic, but Mr McBride insisted a better solution is needed before the city holds its next major event. He said: “It was an absolute nightmare. The council really ought to be doing something to tackle the problem. 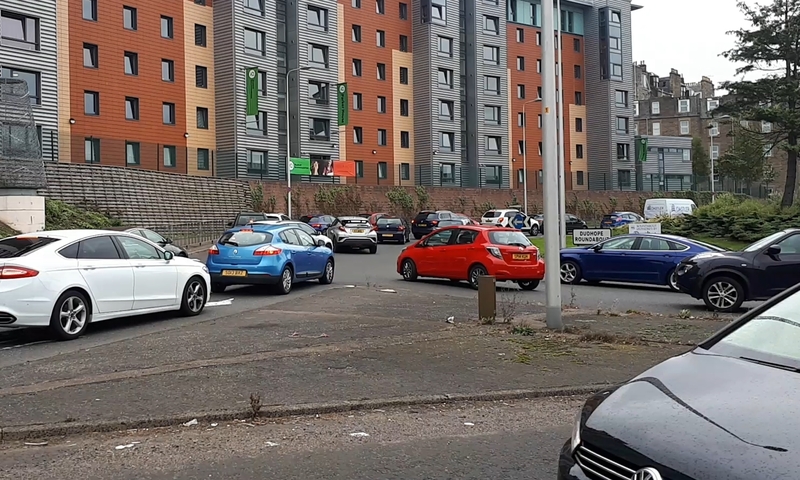 “If we can have police on hand for football matches on a Saturday to help ease the crowds, surely something could be sorted out to have officers there to help move the traffic along. Traffic delays in Dundee city centre ahead of the 3D Festival. Local taxi firm operator Peter Fraser said there “appeared to be no acknowledgement of the need for people to transit through the city centre”. Routes remained closed through Saturday evening and up to the conclusion of the 3D Festival. Dundee City Council leader John Alexander insisted the two-day closure was worth it in the long term as the event “acted as our shop window to the world”. Heavy traffic at the Dudhope Roundabout. He said: “Such extensive closures are rare but we appreciate that this caused disruption for people. That is why we gave advance warning and issued a widespread appeal for people to adopt a flexible approach to transport over the weekend. Superintendent Graeme Murdoch confirmed no officers had been deployed specifically to direct traffic in relation to the 3D Festival — and suggested they may have just made matters worse.